Are you trying to find a good dentist for kids in the Solon, OH area? We would like your search to end with us. Our Solon family dental practice has more than four decades of experience providing quality dental care and we would love to share our expertise with your family. At the dental practice of Dr. Michael Salkovitch, we treat our patients as if they were our own family. In fact, that’s one of our core treatment philosophies. Most adults that suffer from dental anxiety, or more pronounced dental phobias, acquired their fear as a child. Often, this is the result of a bad childhood experience with a dentist or dental professional that didn’t communicate in terms the child understood, or that moved too quickly for the child to become comfortable. A child that grows up with an unhealthy fear of the dentist is at risk for serious oral health problems. They are more likely to develop serious tooth decay, and they are more likely to allow a problem to fester befopere seeking the help of an experienced dentist. That’s why it’s so important for you to find a dentist your children can trust, feel safe around, and communicate with. We want our Solon family dental practice to become your dental home. We specialize in dental care for the whole family and we want to help you establish great oral healthcare practices so your children have a healthy smile, not a dental phobia, for life. Good oral health is the result of partnership between you and your dentist. You establish your oral healthcare routine outside of the practice, and your dentist takes care of the maintenance and any necessary restoration when you visit him or her. At our Solon family dental practice, we want to send you home with all the knowledge you need make the best decisions for your oral health. We’re big on patient education. It’s a pillar of our family dental practice. We have videos available in the office for you to learn from, and great dental videos on our site. Take a moment at home, or when you visit us, and learn more about what you can do to take care of your oral health when you’re away from our office. We sincerely believe that a well-informed patient is better able to achieve and maintain the smile they really want. 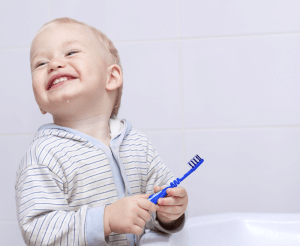 If you’re getting ready for your child’s first visit to our office, there are several things you can do to help ease the transition for your child into regular dental care. Part of the process is making sure your children understand how important the dentist is to their health. Don’t surprise your child with their appointment. Talk to them about it, and let them know what to expect. Avoid using scary words like needle, drill, or shots. Our Solon dentist has decades of experience providing children’s dental care and can communicate in terms your child will understand. Allow us to introduce them to our tools so they feel comfortable in the dentist’s chair. For good visits, we even allow our young patients to pick out a prize at the end. If you have questions about our children’s dental care, would like to request an introductory appointment for your child, or if you’re ready to make our practice your child’s dental home, please contact us to request an appointment. Our dental practice in Solon proudly serves Twinsburg, Hudson, Pepper Pike, Beachwood, Bainbridge, and the surrounding communities in Cuyahoga Geauga Counties. Come see why so many make the short drive to Solon to receive our quality cosmetic and family dentistry services!